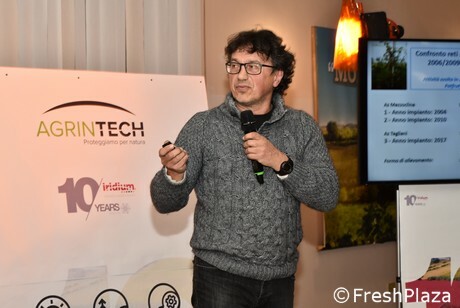 The second part of the Agrintech conference on the tenth anniversary of Iridium discussed the use of photo-selective anti-hail nets from a producer and technician standpoint. 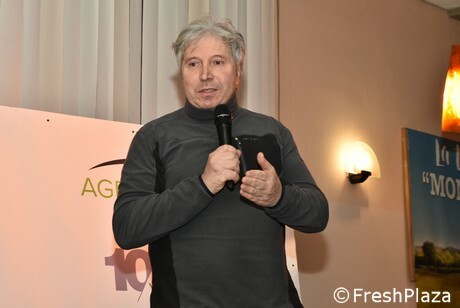 The introducing intervention was by Tiziano Rondinini, president of the Agrarian Expert Order of Forlì-Cesena, Ravenna and Rimini. 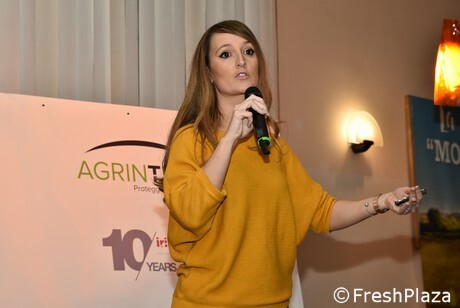 After him, Edwige Remy of International Plant Selection took the stage. “The new peach and apricot implants are slightly going down because of either a market or a cyclical situation. On the other hand, plums and cherries are growing. With regards to the apricots, we mainly focus on two varieties: the bicoloured and the reds. In the last ten years, we massively planted and, as of now, there is a decreasing phase of the new acreages”. Edwige Remy continued, “Plums are growing and they too need to be protected with anti-hail nets, like cherries. We keep our varietal innovation going: I just mention the crossbreed between plum and cherry and the one between plum and apricot. Additionally, we are introducing new walnut, almond and hazelnut varieties, considering the constant development of the shell fruit sector”. Massimo Basaglia of Apoconerpo claimed that “we have been studying coloured nets for 15 years. In the first tests we conducted, we soon discarded the white net as it was weak, whereas the grey and the green ones looked more promising. Therefore, we applied nets of different colours on a field plot. The results showed that the green net facilitated the vegetation, and the red one prevented the development. However, the latter was better for the colouring of Fuji apples, for instance, compared to black or green ones. Unfortunately, the red colour faded after two years – yet that net was made of way different materials from the ones we use today”. Since 2010, Apoconerpo has been using Iridium nets and conducted several tests. The quality of the nets greatly improved. The fruit colouring improved as well in the plants protected with yellow and red nets. Iridium nets preserved their colour for a longer time than the one used as a comparison. The results showed that the blue and the pearl nets allowed a good light diffusion and the creation of a pleasant micro-climate. New tests have started in 2017. The pearl-coloured net proved to have an anti-burn effect. 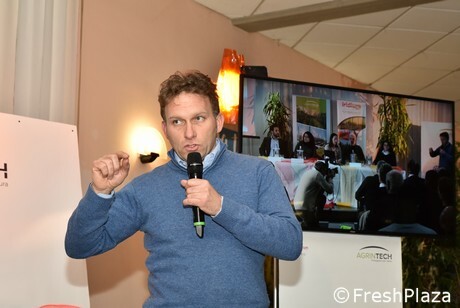 The agronomist advisor Michele Bravetti answered to the question, “How do nets affect production?”. “Photo-selective nets have different functions. Therefore, although they do not affect specific parameters in some cases, they can be useful nonetheless – as our tests on the Melannurca demonstrated”. 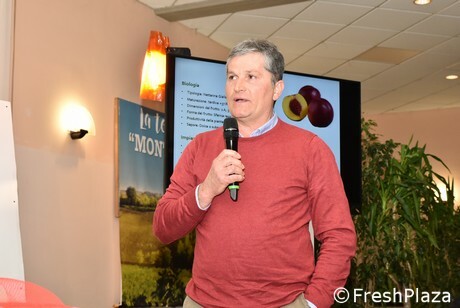 Bravetti discussed the experiments he conducted over time, “In our tests, we focused on the effects on the Fuji apples’ colour. Paler nets facilitate the photosynthesis thus positively affecting the fruit colouring. The colouring improved more under pearl and yellow nets than under black ones”. Bravetti continued, “We conducted some tests on the yellow kiwi, as well. Yellow nets facilitated photosynthesis thus greatly improving the fruit quality. On a 90 fruits sample under yellow nets, the results were better than under neutral nets. The increase in quantity resulted in a 2.000-3.000 euros growth per hectare". “We also tried to use the nets on the Melannurca to see if it was possible to skip the ‘shadow phase’, which unfortunately is not. High quality can be achieved through a shadow phase only. The pearl net allowed us to obtain bigger fruits of a good colour – other than protecting them from hailstorms. Therefore, according to our tests, the pearl net is better than the black one”. Giampaolo Dal Pane of the Consorzio Dorì showed a video displaying yellow kiwi crops covered with yellow nets. “We have 350 Dorì hectares which are protected with plastics or nets. We believed in the Iridium nets' positive effects since the beginning. We noticed a 0.5-1 points increase in dry substance, which translates into better organoleptic quality and preservability. These aspects are very important as they respect the extremely high standards of international markets – especially the Asian ones – which Italy is looking at”. 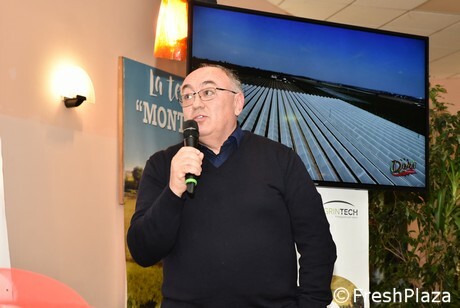 Finally, there was the intervention by Giuliano Donati of Granfrutta Zani, “We conducted several tests to see how the presence or the absence as well as the colour of the net affected the crops. With regard to the fusetto farmed peaches, we did not notice any meaningful Brix degree difference. However, productivity generally improved. We had a few surprises regarding the plums: the field plots covered with yellow nets have experienced a constant increase in Brix degree (+0.7-1.1) over three years”. In this case, these results allowed the marketing of plums under the premium brand thus ensuring a very good revenue. 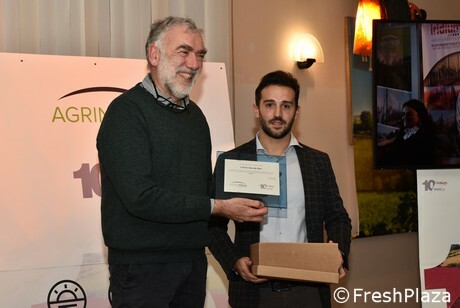 At the end of the conference, Agrintech’s spokesperson awarded Prof Davide Neri a plaque as an achievement for the researches conducted over the ten years of life of the Iridium photo-selective anti-hail nets.